There are many reasons to purchase a whole-home air purifier for your Sand Key, Florida, home. 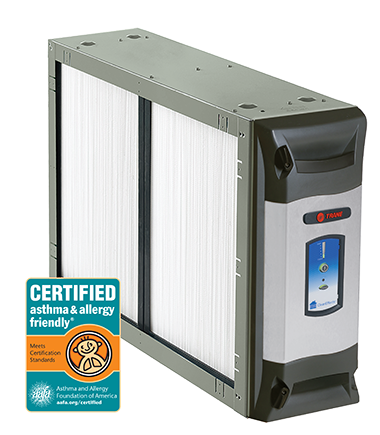 Unlike a portable unit, a whole-home filtration system considerably boosts your indoor air quality throughout the entire home, maximizing breathability and comfort like never before. Best of all, a whole-home unit is integrated into your existing HVAC system. The result is noticeably improved air quality that goes far beyond portable purifiers. Standard portable air purifiers simply don’t have the capacity that whole-home units offer. More than that, a whole-home filtration system supplements your standard air conditioner’s filtration. The typical air conditioner will recirculate a home’s air up to seven times in any given day. That’s seven times the air has to pass through the system’s filters, which makes the air cleaner. When you add a whole-home filtration system to the mix, you maximize this process. Not only are you relying on the HVAC system’s air filters to remove impurities and allergens, but you’re also cleaning the air with an additional filtration system specifically designed to purify the environment. From the first week that you have a whole-home air purifier installed alongside your HVAC system, you’ll notice a marked improvement in your home’s comfort and breathability. Consider how often you have to change your HVAC system’s air filters. In general, you should be checking them monthly and changing or cleaning them no less often than every three months. If you’ve noticed a lot of dust accumulation, there’s a good chance your ductwork also has debris and dust hanging out in those nooks and crannies. You can certainly schedule a duct cleaning to remove this debris, but what if you could help prevent all that dust accumulation in the first place? When you have a whole-home air purifier paired with your HVAC system, even your ducts reap the rewards. Not only is the air you breathe clean and free from allergens, but so is the ductwork itself. Since an air filtration system can help keep your ducts and the entire HVAC system as clean as the day you had it installed, you can only imagine how the investment will pay off in the long run. Portable air purifiers do a good job of removing dust and allergens from the immediate vicinity. As such, they’re best used in the bedrooms of family members who suffer from asthma or allergies. But what if the whole family could enjoy more breathable air? Unlike portable units, a whole-home air purifier is designed to clean the air at the very heart of your home, recirculating it in every room. Every member of the family can breathe clean air that’s free from pollutants and other particles, all without having to run a noisy, portable air purifier at night. Clearly, a whole-home unit is more effective and efficient. There are extra perks to having a whole-home air purifier that you might not immediately notice. One of these is odor elimination. With a whole-home air purification system, your HVAC is able to remove unpleasant smells related to cooking, mildew, pets, and other sources. Best of all, the system is always cleaning the air, so odors don’t even have time to accumulate before the system takes care of them. You’ll notice a fresher feeling throughout your home once the new unit is installed, making you wonder how you ever lived without it. It’s no secret that a clean HVAC system lasts longer and works more efficiently, but keeping it in optimal shape takes regular maintenance and the ability to stay on top of potential issues. With an air purification system, however, the air essentially cleans itself, which helps keep the system clean. You can replace your filters less often and go much longer between those duct cleanings, if you even need to schedule one at all. Call Advanced Cooling Systems at 866-827-7662 to learn more about our whole-home air purifiers. Our indoor air quality solutions can not only extend the life of your HVAC system, but also make your family healthier and happier.